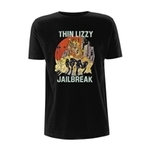 Dublin's Thin Lizzy have become one of the most revered cult acts of all time, studious and discerning fans of hard rock the world over revelling in the storytelling acumen of the legendary Phil Lynott and the craft and class of his band. 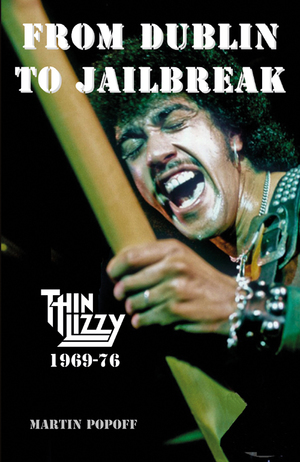 Through numerous interviews with most of the principles involved and a mountain of painstaking research From Dublin To Jailbreak: Thin Lizzy 69 - 76 examines the band's career up to 1976 culminating in the superlative and sparkling Jailbreak, home of such hits as 'Cowboy Song', 'Emerald', 'Jailbreak' and 'The Boys Are Back In Town' and Johnny The Fox that included the hit single 'Don't Believe A Word'. Along the way, alcohol and drugs wreaked havoc between band members, producers and managers, but despite line-up changes and a mostly grinding, rock scrabble existence, Ireland's favourite sons persevered, finally achieving the smash hit record they'd deserved for so long. Immerse yourself in Popoff's celebrated record-by-record methodology and emerge a rejuvenated Lizzy fan, newly appreciative of the deep album tracks hiding within this singular band's often forgotten early years. 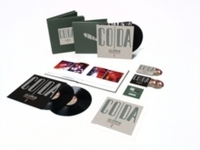 Based on interviews the author conducted specifically for the book with band members Eric Bell, Scott Gorham, Brian Downey, Gary Moore and Brian Robertson; managers Terry O'Neill and Ted Carroll; producers Nick Tauber and Ron Nevison; Nigel Grange from Vertigo; road manager Frank Murray and cover artist Jim Fitzpatrick, reveal Phil Lynott in all his dastardly guises and make From Dublin To Jailbreak: Thin Lizzy 69 - 76, an essential read for the devoted fans.